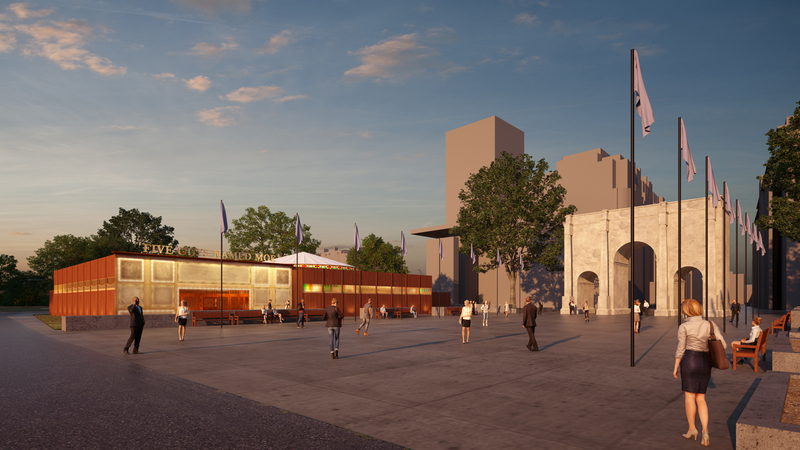 Westminster City Council has given the green light for a Marble Arch pop-up theatre. Plans were submitted in December 2016 by Underbelly, who have a track record of producing successful pop up productions across the UK. 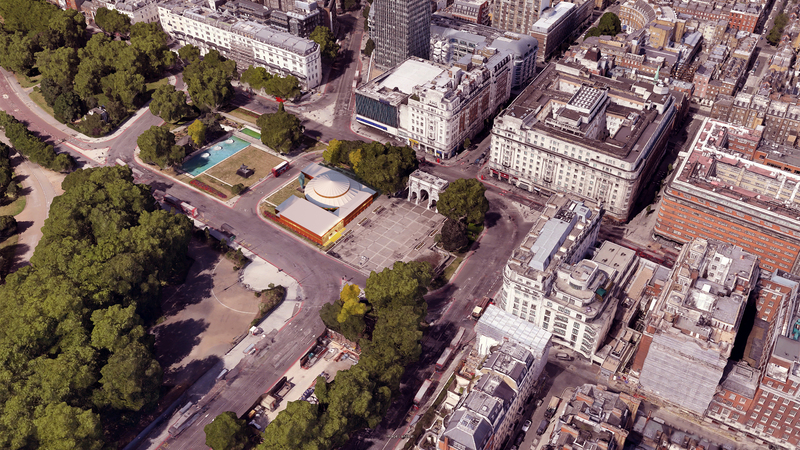 Part of the island on which the Marble Arch monument sits will be used to host a 650 seat temporary theatre for a nine month run of West End show Five Guys Named Moe. There will be up to eight ticketed performances of each week of the Olivier award-winning musical, which is based on a book by Clarke Peters featuring lyrics and music by Louis Jordan. The production is initially booking from 29 August to 25 November 2017, with an official opening on 14 September. Tickets are now on sale. 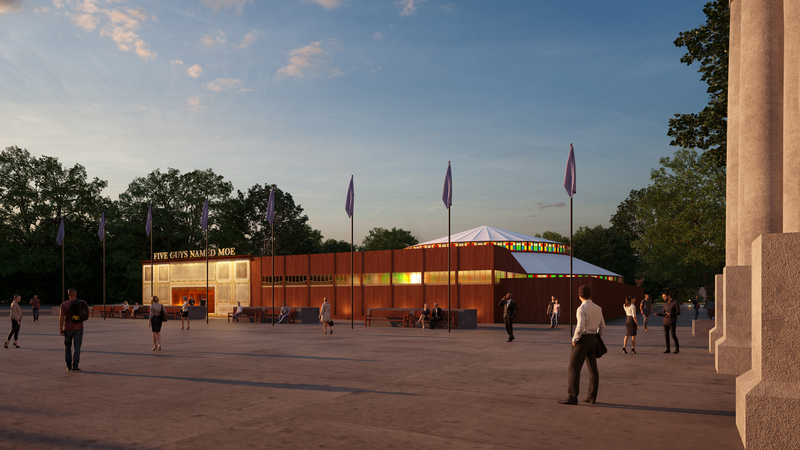 Local businesses and residents will be invited to tour the venue and to see a show before the press night opening.